While only French gaming press were given real, working instruments to go with their copies of Ocarina of Time 3D, in Australia, anyone can get one. 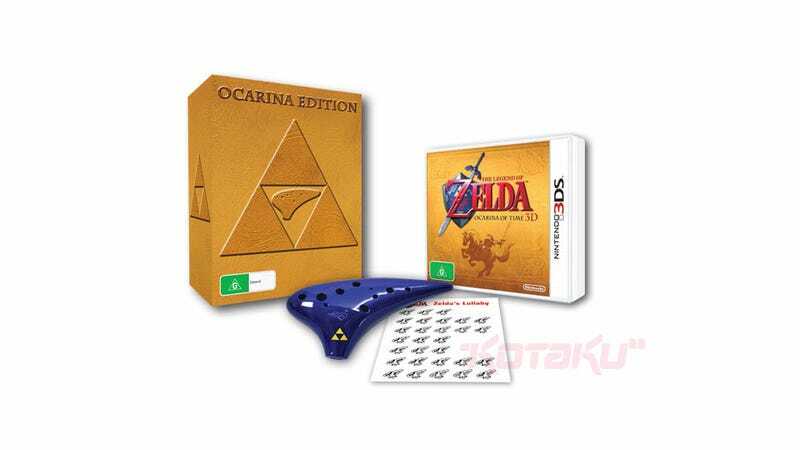 The Legend of Zelda: Ocarina Edition 3DS, available only at EB Games, includes a copy of Ocarina of Time 3D along with a plastic ocarina, which even has sheet music for all the tunes you can play in the game. Serious Ocarina fans, if you have any friends in Australia, now is the time to call them. Unless you're already in Australia, in which case, it's nice getting the opposite of shafted every now and again, isn't it?